What Things Men Should Keep In Mind To Avoid Stroke? 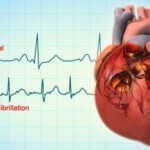 Home Cardiovascular Health What Things Men Should Keep In Mind To Avoid Stroke? It is important for every individual to take care of their health as they grow old. They should keep in mind about that their body is never going to be young forever and they have to keep it fit with little alteration in their schedule by including exercise and diet. With study showing that men are at greater risk as compared to women, it becomes most important for men to pay attention to their health as they grow old. Here are those things that you should care for so that you are not at the maximum risk of stroke. 1. One Beer A Day: Adding one beer in your life every day would increase your health. It was found in a study done that beer controls your cholesterol level and increases blood levels. Red wine is also good for health. So you can choose between both but not both. 2. 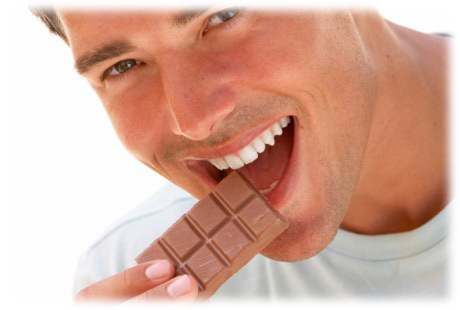 Eat Dark Chocolate: It was found that the elements present in dark chocolates can help you to avoid risk of stroke. So, try to include dark chocolate in your life and be safe. 3. Lift Weight: The study shows that if you lift weight and pump up muscles then you are at lesser risk of heart-attack. So, try pumping out the muscles from now so that you won’t face trouble as you grow old. 4. Include Oats In Diet: Oats are good for health and it is suggested that you should include oats in your diet to avoid the risk of stroke. 5. Eat Cherries: Scarlet color of cherries helps to lower the uric acid found in blood. This acid is the reason behind heart-attack or stroke. So, eat at least 15 cherries a day to stay fit. 6. Have An Orange Every Day: As we all know, orange is a source of Vitamin C. It was found that this vitamin prevents your heart from stroke and keeps you fit. It is advisable to have it in raw or you can have juice of it. 7. Exercise: Exercise is indeed good for our health. Make sure that you hit the gym on a regular basis and try our certain exercises that would help you stay fit. 8. Brisk Walking: Brisk walking is advisable to everyone and for the men who are growing old it is of utmost importance. Brisk walking helps you with proper blood circulation and that again helps your heart to stay fit. 9. Watch Your Weight: Being over-weight increases the risk. So, make sure that you keep a regular watch in your weight and stay fit. 10. Quit Smoking: Smoking causes various health troubles in which stroke is also included. It is hard for a regular smoker to quit smoking soon so go easy and try to get rid of it soon. 11. Keep Visiting Doctor: Visit your physician on a regular basis. You should keep your blood pressure, diabetic and other such common problems that happen with time. 12. Enjoy A Happy Life: It is important to have a life without stress. Stress is another reason behind stroke. So make sure that you keep stress away from life and enjoy your moments. Stroke doesn’t give you any indication it just strikes. So all you can do is take precautions. As we grow old, the risk increases. The above steps and suggestion would help you keep a check on your health and would guide you on how can you avoid it. Stay fit and healthy.